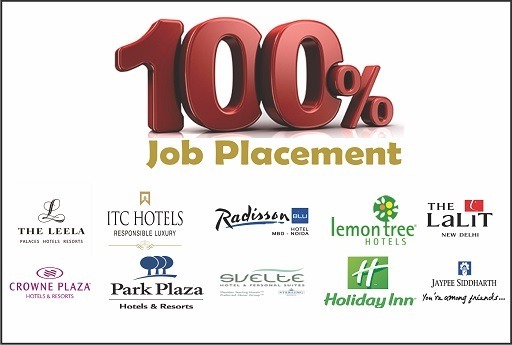 Indian Hotel Academy, one of the premier Hotel Management institute in Delhi NCR provide hotel management course, is best known for its placement assistance to each and every student and as a result, students get 100% placement Assistance in Indian as well as international hotels after completion of their studies. At Indian Hotel Academy, one of the most sought after Hotel Management Colleges in Delhi NCR, from the very first day, the students start getting the training on their grooming standard as well as to be disciplined and values of the life which help to make them industry worthy. This is very much necessary as no organisation likes to take the fresher who has just passed the course by paying some fees in hotel management course! As it known that a Hotel Management College cannot gift jobs to its students, it can only assist the students, they have to crack the interviews and earn the jobs of their preference. As a Institute of Hotel Management of a class created by its own standard, Indian Hotel Academy has huge placement network and tie up with Indian and international hotels of repute. Arranging campus interviews for the current and ex-students time to time, IHA always shoulder the responsibilities of providing jobs to the students and more over, do the same at a periodical interval so that each and every student can get the opportunity to grab a job of his or her preference as soon as they finish off their studies. Indian Hotel Academy, being one of the seasoned Hotel Management College, can easily understand that without the true speaking power or the ability to communicate effectively, no one can be a successful person in this highly competitive professional world. As far as the hospitality world is concerned, English is a must as medium of communication since one has to deal with lot of foreigners during their tenure in their respective area and no regional language would be a help to communicate with guests come across the globe.